Foilseacháin Náisiúnta Teoranta (FNT) (National Publications Limited) published Irish language books until 1988 and, despite the very formal moniker, it wasn’t a State run publisher but in fact a commercial enterprise (although it did receive some subsidies over the years). The company was incorporated in Westport in 1947 when it bought the printing works of the Mayo News. It continued to publish that paper but it’s main focus was the Irish language newspaper Inniu which had been founded by Ciarán Ó Nualláin and Proinsias Mac an Bheatha’s Glúin na Bua (a breakway from Conradh na Gaeilge) in 1943. Ciarán Ó Nualláin was Flann O’Brien’ brother and, more importantly from our point of view, also the brother of Mícheál Ó Nualláin whose design work we have featured previously. FNT’s book publishing activity started as a sideline to the newspaper business but the number of titles grew steadily over the years. Karl Uhlemann was FNT’s main cover artist for a considerable portion of its existence. Above are examples of his work for them over a twenty year period from 1961 to 1980. It is interesting to see how his skills developed with time, particularly when comparing his treatment of the Traveller’s caravans in the covers from 1961, Slán Leis an gComhluadar, and 1975, Fir Chlaímh. My favourites are Meas na Filíochta, with its Japanese feel, and the pop art sci-fi explosion of Sladmhargadh. You can see more of Mr Uhlemann’s work and what little I’ve been able to ascertain of his biography in these two earlier posts. Above are three covers for Anvil Books designed by Joe O’Byrne in 1965. The post-nominal initials MIAPI after his credit for the Fremantle cover were the vital clue to who he might be. A member of the Institute of Advertising Practitioners in Ireland, O’Byrne was working for O’Kennedy Brindley when he designed these covers, on the side, for Anvil. 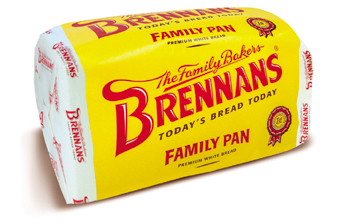 He later went on to found his own advertising agency, O’Byrne Associates, which gave Brennan’s Bread their distinctive yellow and red wrappers and the slogan “Today’s Bread Today”. Anvil Books specialised in Irish history with a heavy leaning to Republican themes. The Clanking of Chains stands out for being a novel. O’Byrnes’ design echos MacNamara’s most infamous work, Valley of the Squinting Windows, placing a figure in a window as the only illustration in a predominately typographic treatment. To my mind, the Fremantle Mission is the most striking cover of the three. The orange of the sun really jumps out from the rust background. Here are two booklet covers from the early Seventies. The first is a catalogue for an exhibition of Irish Crafts and the second is a report on transportation in Dublin. The Ioldánas Irish Crafts Exhibition was organised by the Irish section of the World Crafts Council to coincide with the fourth general assembly of the World Crafts Council in Dublin, 1970. Despite Ireland’s impressive craft lineage (the cover image is a 3,500 year old gold lunula), Ida Grehan in The Irish Times was disparaging of the whole endeavour asking “will it be up to the high standard of Trinity College Library where Picasso, Lurçat and a succession of international artists have been exhibited?” (The Irish Times, May 27, 1970). Nevertheless, the exhibition was a success and directly led to the establishment of the Crafts Council of Ireland the following year. The font on the cover is Helvetica, still a fresh and modern face in 1970. The rest of the catalogue utilises the beautiful Colmcille typeface, designed by Colm Ó Lochlainn with Karl Uhlemann at the Sign of the Three Candles. The second cover, Transportation in Dublin, was designed by Colm Ó Lochlainn’s son Dara’s design agency. Although it is from 1973 it feels very sixties. This is no doubt due to the use of Sans Serif No 7 (the digitised version is more commonly called Bureau Grotesque) by Stephenson Blake, a quintessentially British typeface popular in the 1960s. Also, the cars in the photo look a little out of date. I have a feeling the photo is from a few years earlier although it may be a reflection of the recession of the seventies beginning to bite with motorists making do with the old car rather than splashing out on a new model. Many of the recommendations in the report were implemented, including the East Link bridge and the M50 motorway. The “Possible Underground System” has yet to materialise.